HAP Instructor Kristin Klas has a great story that sums up the liberating power of literacy. “Watching students write their names for the first time is a great success, but my favorite stories are when students take home what they learn and apply it to their lives,” Kristin said, noting that many of the students in her Pre-Beginning English class didn’t learn to read or write in their own language and are learning to do so for the first time in English. Kristin is one of three instructors, a program coordinator, and several volunteers who make up HAP’s Adult Basic Education (ABE) program. English as Second Language (ESL) classes are the crux of the program, and lesson plans are designed to simultaneously teach culturally appropriate life skills on topics such as healthcare, housing, transportation, job readiness, elementary and secondary education, food management, and more. 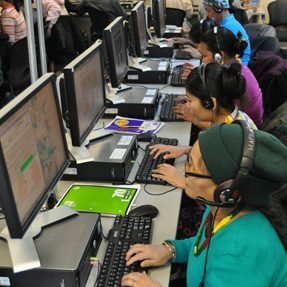 There is also a Citizenship tutoring group for students enrolled in English classes, math tutoring, and a Digital Literacy tutoring group that teaches students basic computer skills in preparation for jobs. Classes are free and are held Monday through Friday between 9 a.m. and 8 p.m. at HAP’s University location and three other sites to accommodate students’ work schedules. 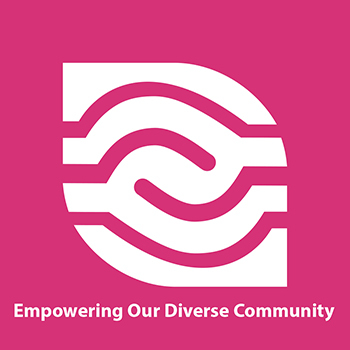 Funding for the services comes from the Minnesota Department of Education and the Saint Paul Community Literacy Consortium, which is made up of HAP and nine other nonprofit organizations. So far in 2018, HAP has provided more than 22,000 hours of Adult Basic Education to 238 students. Many of HAP’s ABE students are refugees, a majority are from Somalia, and there are twice as many women as men. Just over 30 percent of all students did not attend school in their native countries, while 24 percent were limited to an elementary school education. “Many students arrive with post-traumatic stress disorder, especially those from refugee camps,” noted ABE Instructor Justyna Sparrow. PTSD can make it harder for students to learn and retain information, she explained. “Every day students make new discoveries,” said Jessica Anderson, HAP’s ABE Coordinator, recounting the joy one of her students expressed while using a computer mouse for the first time. Seeing the cursor move in sync with her hand was a completely new experience, Jessica noted. That sense of discovery, and the empowerment that comes with it, is one of the reasons Jessica loves working with New American students. She joined HAP not long after returning to the States from South Korea, where she lived and worked for nine years. The ABE program is a foundational part of HAP’s service model – a critical component of an organization that a former HAP instructor referred to as “the first landing place for refugees in St. Paul.” And ABE classes offer more than the basics of English and life skills, they help strengthen the community. 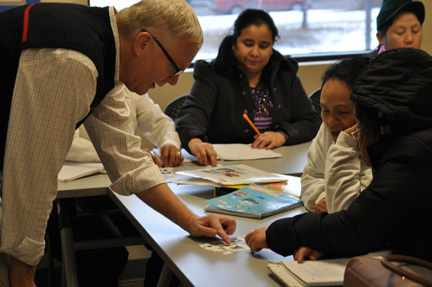 To learn more about HAP’s Adult Basic Education classes, please contact Jessica Anderson, ABE Coordinator, at 651-495-1605 or jessicaa@hmong.org.